A group of 29 participants met for the Coastal & Marine Citizen Science Workshop, on 7 July 2016, straight after the joint New Zealand Marine Sciences Society (NZMSS) and Australian Marine Sciences Association (AMSA) conference in Wellington. This was a first meeting specific to coastal and marine citizen science in New Zealand. A wide range of experience and skills were represented and included people involved in current citizen science projects and scientists with interests in the potential of citizen science to address wider information needs. The energy and enthusiasm of the participants also reflected the high interest in this topic. There were two major workshop topics: preparation of a citizen science projects list for a national estuaries science and management summary, and an exercise to explore gaps and opportunities for citizen science to assist coastal science and management objectives in. Examples from both New Zealand and Australian helped to enrich the conversation and identify priorities for advancing these topics in the short to medium term. Outcomes of the workshop included: a list of citizen science projects currently underway in coastal and marine environments to add to the national picture of citizen science, identification of opportunities for progressing this area of work in New Zealand, a list of priority actions to undertake in the short-term. Another important outcome was the opportunity for the network of practitioners to make connections and share ideas. explore gaps and opportunities for CitSci to assist coastal science and management objectives in New Zealand. To help orient the lively discussion around a clear purpose these were related to the following ‘focus question’ for the workshop. 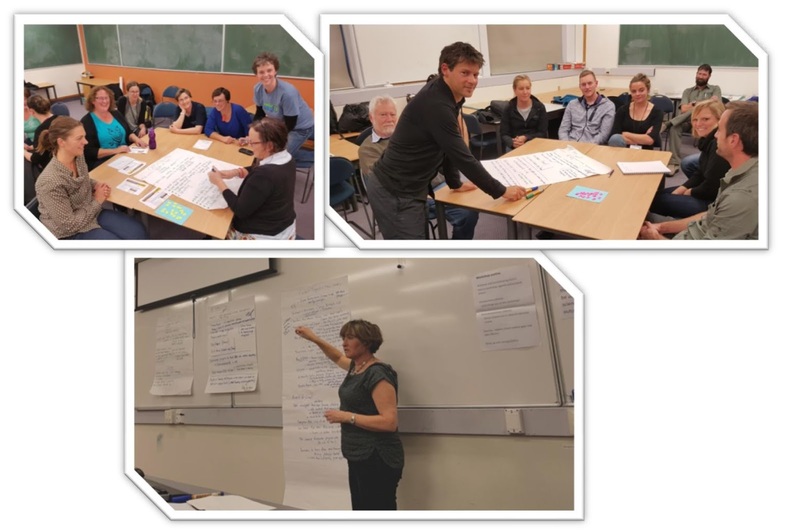 What estuarine and coastal citizen science is happening in NZ, where are the opportunities, and how can these be used to achieve various coastal science, engagement and outreach outcomes?